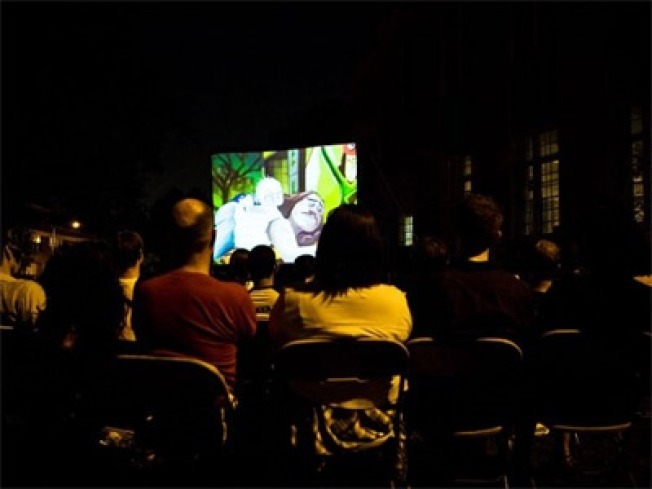 The Animation Block Party film fest returns in its seventh year. CARRY A ’TOON: The Animation Block Party—NYC’s biggest all-animated film fest--returns in its seventh year with three days of world premieres, international cartoons and otherwordly creations that make you realize, yeah, you could never do that with plain old live action. Kicking off the fest is a night of screenings (20 of them to be exact) at Rooftop Films at Williamsburg’s AutomotiveHigh School. Pre-films, expect live music; post-, head to Matchless bar for an afterparty sponsored ny Radeberger and Sailor Jerry Spiced Rum. 8:30PM. SWELLEGANT: They’re no longer a couple, but the Oscar-winning Once pair Glen Hansard and Markéta Irglová are something way better these days: the anchors of the band The Swell Season, all lush harmonies and heartfelt lyrics. Gorgeous stuff. Bud Light presents the band (with The Low Anthem) at Celebrate Brooklyn! in the Prospect Park Bandshell.7:30PM/gates 6:30PM. WORD UP: Gary Shteyngart’s future-set new novel Super Sad True Love Story tells the tale of a janitor’s son in possession of two items of note: a bald spot shaped like Ohio and what may well be the world’s last diary, as a functionally illiterate society is about to collapse around him. Shteyngart (The Russian Debutante’s Handbook, Absurdistan) reads from the book—Orwell for the crossword set—at DUMBO’s Greenlight Bookstore at 7:30PM.